This is hands down my new favorite shirt. I love that lace is a popular this spring, but, many lace shirts are not appropriate for the office. 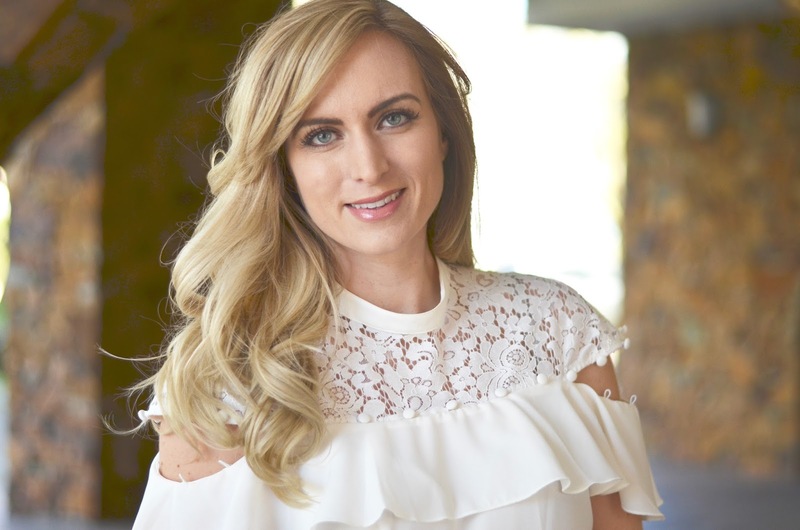 This top however is entirely appropriate to wear to work (I love the high neckline) but is still fresh and trendy for spring. 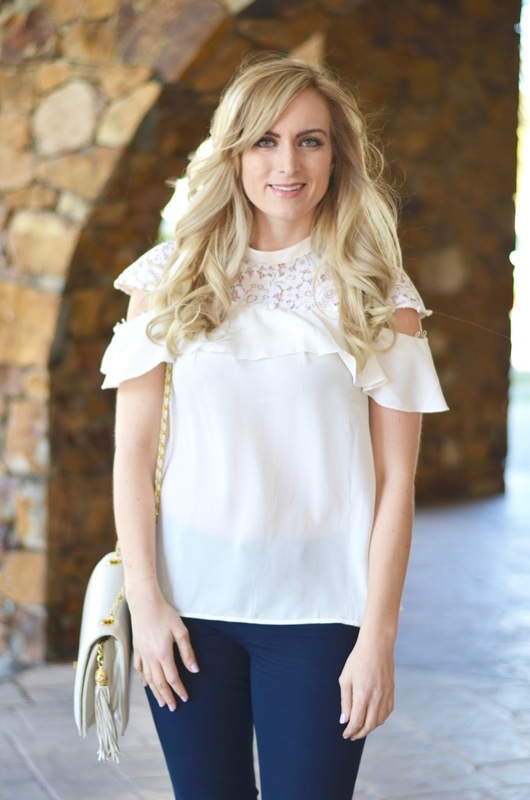 I love the cold shoulder detailing – the buttons can be worn undone to create this cold shoulder, or you can wear them done up. While you all know my love for these pants, in the spring I wear this navy version more frequently. The shade feels more spring/summery while still perfect for an office outfit. 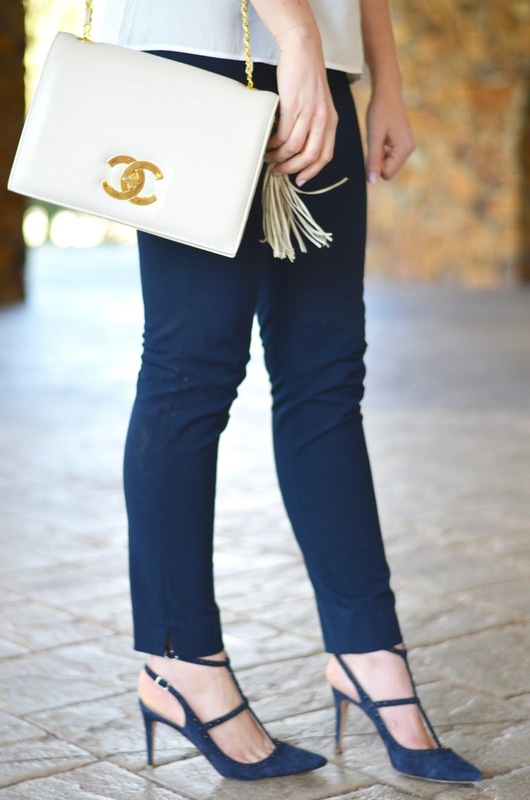 Navy and ivory is a color combination that I return to year after year for spring and summer. The colors give off a polished vibe that is perfect for the office! I hope you have all had an amazing work week and are looking forward to the weekend ahead. I plan on spending a couple of hours Saturday morning at a coffee shop just getting ahead of next week’s work so that the week will be a bit easier! I might be the only one, but I actually don’t mind working (a little bit) on the weekend’s as long as I can be in a good environment with a delicious drink! "Pink Blazer & Flared Denim"
Love those button details along the edge. Definitely a very unique piece-it is easy to see why it's your new favorite. 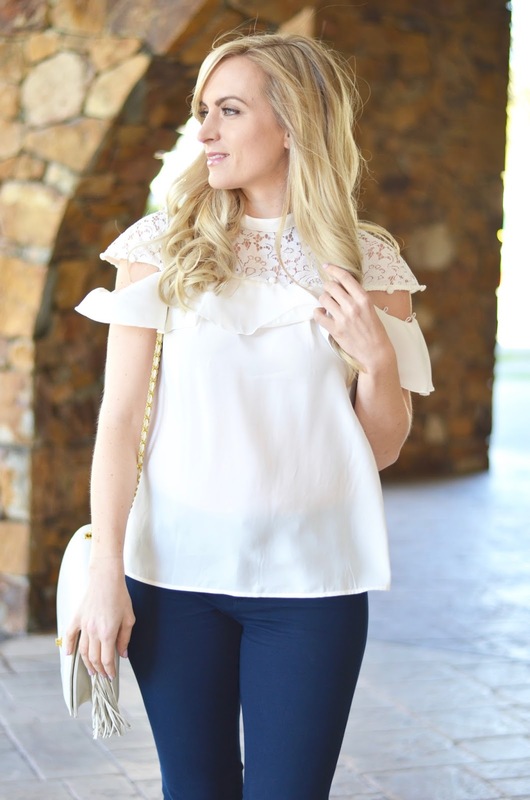 This is the prettiest lace top! I love the ruffles! Oh, this is just the prettiest top! 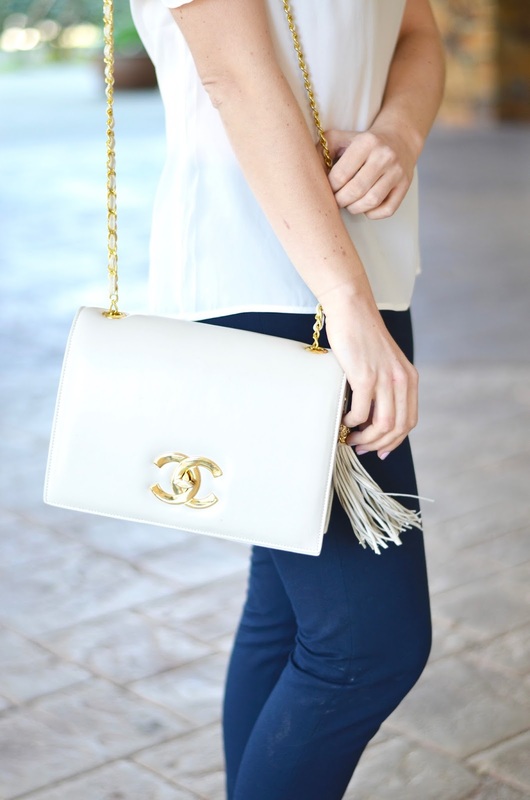 It looks great with the navy and your fabulous bag. Thanks for linking up, Lee! Thank you Jennie! Hope you are having a great week!